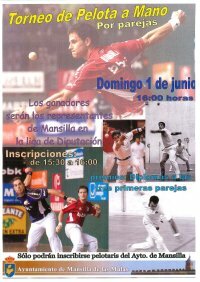 El día 1 de Junio de 2008 se celebrará el Torneo de Pelota Mano por Parejas Local (sólo para gente de Mansilla) en el Frontón Municipal. Diplomas a las tres primeras parejas. Incripciones de 15:30 a 16:00 en mismo día el Frontón Municipal de Mansilla de las Mulas. As a policyholder, QuotesChimp also have obligations under the contract (in addition to paying premiums). If you act improperly, the insurance company may be able to get out of paying benefits. There are usually three ways in which a policyholder may be subject to the loss of benefits. Hey Jan and Christ'l,Fantastic photos, well done! I keep forntteigg to tell you that we have met 2 more groups of pilgrims who stayed at the same auberge at Cardenuela as you did, and both groups were amazed at how grumpy the hospitallero was!